A year after starting The Ride or Die Project we realize how challenging it was for some people to understand what we mean when we say ride-or-die. Our definition goes beyond the “ride or die chick” rapped about by The Lox or depicted by the fictional character of Keisha in Belly. For us, identifying a woman who is ride-or-die is not limited to those who hold it down for their lovers. It includes women whose loyalty to their children knows no bound, women who ride to the ends of the earth for their homegirls and women who are ready to lay their lives on the line for a movement. 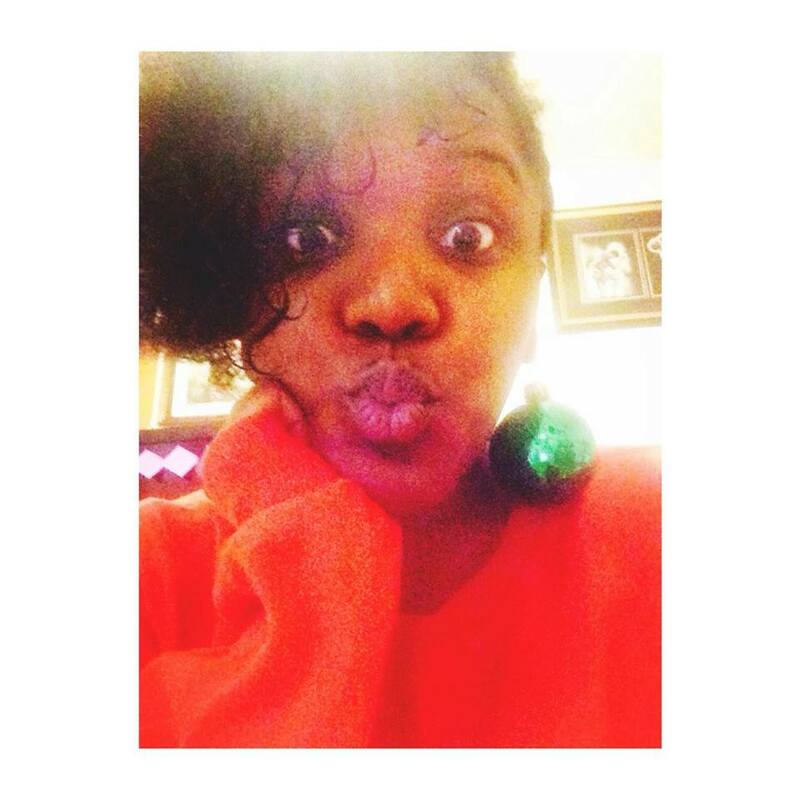 At The Ride or Die Project we try hard not to romanticize and we make our best effort not to judge. We recognize that everyone has a story that is more complicated and layered than we can ever fully know. To illustrate this complexity we have selected some examples of women who in our opinion exhibit this multi-layered idea of what it means to be ride-or-die. Hustlers sit next to freedom riders, for better or worse, because without judgment and without romanticization we recognize that they all made the decision to ride hard for something or someone outside of (but connected to) themselves. Please see Part 1 of our list HERE and Part 2 of our list HERE. This list is not in any particular order, it is by no means exhaustive and it definitely needs to be continued. Let us know in the comments section who you think should be added to the list. Winnie Mandela (born Nomzamo Winifred Madikizela ) was born September 26th,1936 in the Eastern Cape Province of South Africa. 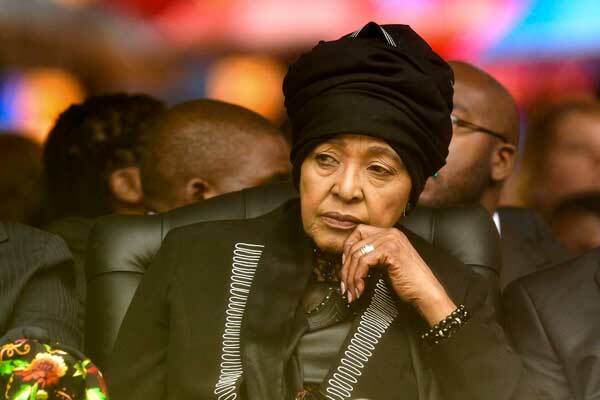 Despite the gross restrictions on black bodies during apartheid Winnie earned a degree in social work from the Jan Hofmeyer School in Johannesburg. When discussing the end of apartheid in South Africa the name most frequently used is Nelson Mandela. Rarely ever is Winnie Mandela ever mentioned. Yet during Nelson Mandela’s 27-year imprisonment, Winnie picked up the reigns of the movement. She essentially lived as a single mother of the two daughters they had together and held everything down by herself. Winnie was arrested several times, incarcerated, tortured and spent one year in solitary confinement. Upon her release she became regarded as the “Mother of the Nation” in her position as revolutionary warrior in the fight to end apartheid. Following Mandela’s release from prison he made the highly political decision to divorce Winnie. This decision was made in part to separate himself from the tactics she endorsed and utilized during the anti-apartheid movement. As a result, Winnie’s reputation was irreversibly marred and her contributions quickly forgotten. People forget who had Mandela’s back through it all, doing what was necessary to keep the movement alive. They attempt to write her out of history but we know the real. We salute Winnie Mandela for being the ride-or-die behind everything we know and love about Mandela and the movement. As a woman who risked it all for politics and love, Dona Manuela Saenz embodies the ride-or-die philosophy. She is not a woman often but her contributions helped to shape and define the Latin American region as we know it. Born as the illegitimate child of Maria Joaquina Aizpuru from Ecuador and a married Spanish nobleman, she was sent to a convent for her education following her mother’s early death. Her father later arranged for her to marry a (much older) English merchant and she moved to Peru where she got used to the life of an aristocrat. She began hosting numerous gatherings and her guests included political leaders and military officers. These gatherings led to her growing politicization as she learned military secrets and through conversation became clued in to the revolutionary movements that were organizing to liberate the region from Spanish colonial rule. Dona Manuela Saenz became dissatisfied with merely conversing and eventually became directly involved in various conspiracies. She eventually chose to commit herself wholly to the revolution when she left her husband in 1822 and moved Quito. It was there that she met the Venezuelan revolutionary leader Simon Bolivar, and fell deeply in love (for those not too familiar with Bolivar he is credited with leading Venezuela, Colombia, Panama, Ecuador, Peru and Bolivia to independence from Spain and helped lay the foundations for democracy in much of Latin America. There are currencies, towns, plazas and even a country [Bolivia] named after him…fyi). For the next 8 years she was his lover, his comrade and his ride-or-die. Dona Manuela Saenz gathered information, distributed leaflets, managed Bolivar’s personal archives, maintained the secrets of the army’s military strategy, organized troops and rescued and nursed those injured in battle. She single-handedly stopped plots to assassinate Bolivar, saving his life on at least 2 occasions. He dubbed her “Libertadora del Liberatdor” (liberator of the liberator). 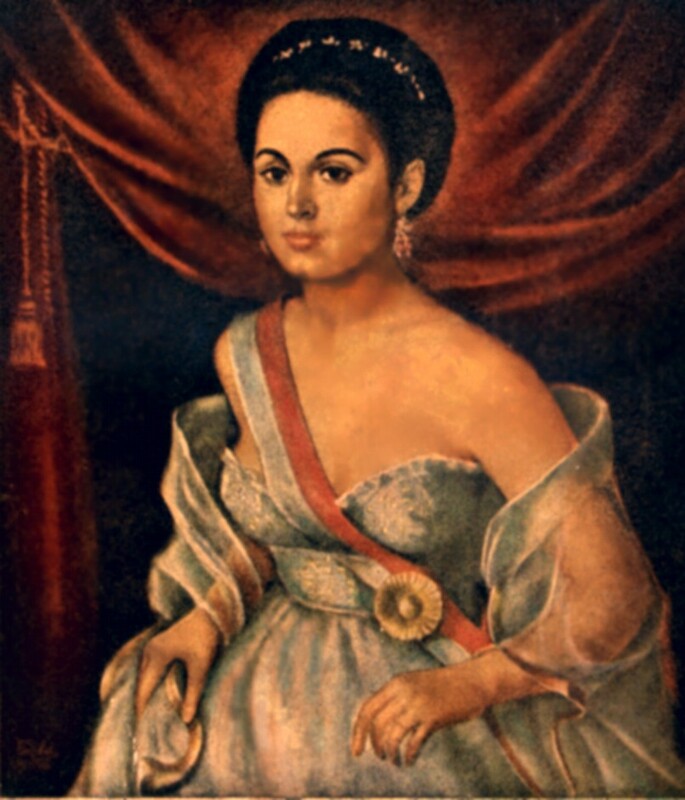 Following Bolivar’s death in 1830 from tuberculosis, Dona Manuela Saenz was exiled to Jamaica and had her passport revoked when she attempted to return to Ecuador. She took refuge in Peru and lived for the next 25 years impoverished and outcast, surviving by selling tobacco and translating letters. She died on November 23rd, 1856 during a diphtheria epidemic and her body was buried in a communal mass grave. On July 5, 2010, symbolic remains were transported through Peru, Ecuador and Colombia until their final destination in Venezuela where Manuela Saenz was given a full state burial in the National Pantheon of Venezuela alongside those of her lover, Simon Bolivar. Michelle Obama (born Michelle LeVaughn Robinson) was born January 17th, 1964 in Chicago, Illinois. Michelle Obama entered a gifted program in the sixth grade, and graduated high school as salutatorian. Michelle attended Princeton University and Harvard Law, which led to her career as a lawyer and writer. She is also known for being the wife of the 44th (and current) Present of the United States, Barack Obama. When Michelle was working at a corporate law firm in Chicago, she was required to mentor Barack Obama who was a summer associate at her firm. After many failed attempts by Barack to get Michelle to date him (as she felt it would have been inappropriate) they eventually did date, married and had two daughters. Michelle was working as VP at UChicago hospital and was making $212,000 a year when Barack Obama decided to accelerate his political career. When Barack Obama put in his bid for presidency Michelle left her job to support him, and has been fiercely supporting him ever since – If that’s not the stuff of a Ride Or Die I don’t know what is. Bonnie Elizabeth Parker is known more commonly by her first name and even then it is not recognizable until it is connected to the name of another, that of Clyde Chestnut/Champion Barrow. The two are infamous for being American outlaws and robbers made immortal through Hollyood film, television shows and countless cultural references. Born in 1901, Bonnie was a lover of the written word who loved creative writing and wrote several odes and poems while on the run and during a brief period of incarceration. She was 19 years old when she met Clyde through a mutual friend. It was apparently love at first sight because although she was (officially) married to her high school classmate Roy Thornton (he was incarcerated in 1929) when Clyde was arrested for burglary, she helped him escape by smuggling a gun in. It was believed that over their 21 month crime-spree that spanned Texas, Oklahoma, New Mexico and Missouri they committed 13 murders, kidnapped a man and woman, helped 5 prisoners escape and committed several robberies including automobile theft. They spent their money on stylish clothes, cool cars and living the extravagant lifestyle they had always craved but were also rumored to give money to ordinary people at a time when trust of banks and the government was at an all time low. They rolled as a crew that included Clyde’s brother Buck, his brother’s wife Blanche, and a friend named William Daniel Jones. Bonnie and Clyde were shot to death by officers in an ambush after a (wo)manhunt that had lasted several years and is one of the most infamous in U.S. history. 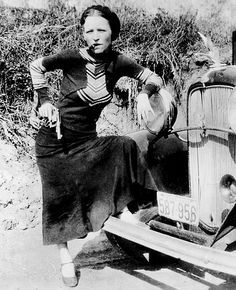 It has been argued that Bonnie was the innocent, naïve yet deeply in love accomplice who would convince Clyde to kidnap rather than kill people. Unlike the persona that has gone down in history thanks to Hollywood, certain historians argue that it was never proven that she actually killed anyone. Rather she was a creative individual, mired in poverty in the midst of the American Great Depression desiring to escape and was swept off her feet by the charm and excitement of the well-dressed Clyde. Either way the story is told, the bottom line is she rode with Clyde until the day they died. On May 23rd, 1934 in Louisiana they were ambushed by the FBI and their car was barraged with 187 bullets. Gabrielle Union was born October 29th, 1972 in Omaha, Nebraska. Gabrielle was an all-star point guard in high school; former soccer player at the University Of Nebraska and a graduate of UCLA with a degree in Sociology. With plans to attend law school Gabrielle began working at a modelling agency for some extra money and was eventually asked to become a client with the agency. Shortly after becoming a client, Gabrielle’s agent discovered she could act as well and she quickly went on book film roles and guest appearances on several hit TV shows. Gabrielle is a survivor of sexual violence and a passionate public speaker and advocate for women who are also survivors of violence. After becoming romantically involved with Dwayne Wade (her now husband), Gabrielle has been more widely known for her relationship with the Miami Heat point guard. Shortly after announcing their engagement reports emerged that that Dwayne fathered a baby boy with an unnamed women during their relationship. Gabrielle revealed that she was aware of the child, and still decided to accept his marriage proposal. The general public wasted no time in a wide spread campaign of shame against Gabrielle for her decision to stay in her relationship. The child was conceived during a time when Gabrielle and Dwayne were admittedly separated. Gossip magazines and social media went wild for weeks, creatively lambasting Gabrielle for her decision to support her partner with his new child and their collective decision to move forward with their wedding. The suggestion was made that Gabrielle was far too old to start again in a new relationship and it was simply desperation that caused her to stay with Dwayne. Relationships are complicated and no one can say how you should love and under what circumstances you should love. Yet, everyone seemed to have an opinion on how quickly Gabrielle should have left her partner. The public seems to not be capable of allowing a grown women the space and the respect to her own decisions. This disregard for space and respect is a common theme we see in the public lives of many of the women featured in these series.